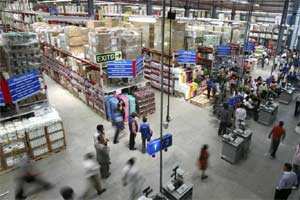 Mumbai: Seven years ago, when Future Group retail giant sent shipments from Mumbai on the country’s west coast to Kolkata in the north-east, the products took 10 nervous days to arrive. “You sent the goods, and until you received them, you just prayed," said Anshuman Singh, managing director and chief executive officer of Future supply chains. “There was just a black hole until they finally reached the destination." Since then, he has wrestled with shoddy roads, minimal cold storage capacity and a myriad of state regulations and taxes to cut the journey to 72 hours. That challenge is all to come for foreign retailers eyeing a slice of India’s $450 billion market. Major cities in Asia’s third-largest economy are thousands of miles apart, connected by pot-holed and clogged roads or creaking railways where wagons are in short supply. Global giants such as Wal-Mart may be eager to start selling their wares to 1.2 billion people, but a need to first tackle India’s logistical headaches will likely mean they will be heavily dependent on local expertise. Government last week approved 51% foreign direct investment in supermarkets, ending years of legislative hand-wringing over a policy seen modernising the industry. To appease those who say it will destroy local shopkeepers, rules mean foreign retailers must source almost a third of their produce from small industries, invest a minimum of $100 million and spend half of that on “back end" supply infrastructure. “They will all have to go through the learning curve on their own." Today, GPS tracking means each of his firm’s consignments are monitored every metre, from a vast warehouse outside Mumbai to the bright aisles of an air-conditioned Kolkata supermarket. At 4 a.m. every day, hundreds of vegetable traders begin to pack the pavements of one of Mumbai’s trunk roads. Hours later, milling retail customers and piles of pungent produce bring three lanes of traffic to a halt in the morning sunshine. Mounds of potatoes lie inches from the tyres of trucks and cars trundling past, as traders dodge commuters to carry sacks of coriander and boxes of cabbages on their shoulders through clouds of exhaust fumes and the stench of rotting produce. Around 30% of India’s vast fruit and vegetable production goes to waste due to a traditional supply network that uses hand-pulled wooden carts more than refrigerated freight wagons and keeps fresh produce highly regionalised. “India cannot be seen as easy," Viney Singh, managing director of Max Hypermarkets, a six-year old local supermarket chain with a licence from European retailer Spar told Reuters. “There are some players that have been in the retail business for more than 10 years, and til date there is no hypermarket player that has made any money." The chaos of Mumbai’s Dadar market is a universe away from Future Supply Chain’s chilled 125,000 square foot (11,600 sq metre) warehouse 50 km (30 miles) from the city, where fork-lifts move crates on shelves rising up to the 17 metre-high (53-foot) roof, and 150 workers feed hundreds of metres of computer-controlled conveyor belts. “Retail is all about filling the shelves, on time, every time," said Future supply chain’s Singh. “In India, the technical know-how, expertise... requires a lot of learning, it is not common knowledge here." His six-month old site in Bhiwandi is one of 50 warehouses across the country that supply the Future Group’s outlets in 300 cities — attracting over 300 million footfalls a year. Some global players with sourcing operations in India, such as London-listed Tesco Plc, have first-hand experience of the country’s poor warehouse space, unreliable transport links and chronic lack of cold-chain storage. Without local expertise or a huge amount of investment, domestic retail executives say overseas players could struggle to stack the shelves. “It certainly will not be easy for players coming in," said Max Hypermarket’s Singh, whose chain has nine stores in India and plans for five more before March 2012. A race to gain market share in one of the world’s largest untapped markets is likely to spur lucrative deals for local players with established supply chains, industry analysts say. That could mean a windfall for firms such as Pantaloon, the Tata Group’s Trent Ltd and Shopper’s Stop Ltd , and make local expertise a valuable currency in getting products to market quickly and cheaply. “If some of them want to throw dollars, burn some cash to build it, they can," said Future Supply Chain’s Singh. “We are ready made for them. They can use us."